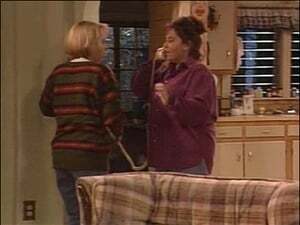 Roseanne is stunned when Becky asks for advice about birth control. Episode 2 - Take My Bike ... Please! 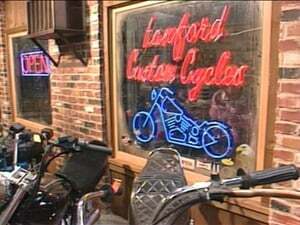 Roseanne and Dan open up shop at Lanford Custom Cycle, but selling a bike proves an exhausting challenge, as does keeping the household fine-tuned with Becky in charge. Jackie awakens and is horrified to find that she has slept with Arnie; Dan invites Leon home for the weekly poker game; DJ trades his comics for a dog. 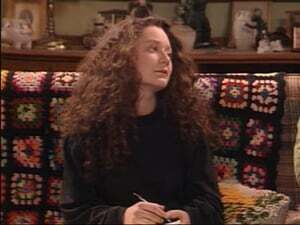 Darlene slips into a depressive state, wanting to wear only black, watch TV and be left alone; Becky wants a motorcycle. 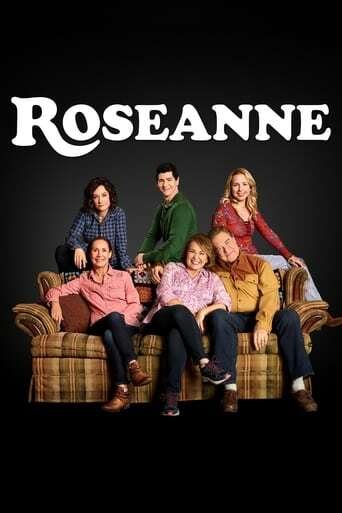 Roseanne's new neighbors the Bowmans are burgled while they are out of town -- and hold Roseanne responsible. 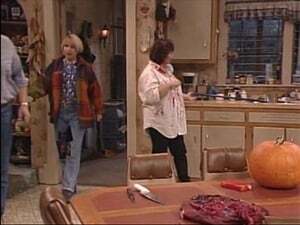 Roseanne is convinced that Kathy Bowman will take revenge for the Hallowe'en prank she played on her; Jackie flirts with a moose at the Lodge costume party only to discover that it's former boyfriend Booker (in his last appearance). Arnie decides to wed Nancy in Las Vegas, inviting Dan and Roseanne to stand up for them. The Conners risk getting thrown out of a Vegas nightclub, and visit a wedding chapel with Arnie and Nancy. 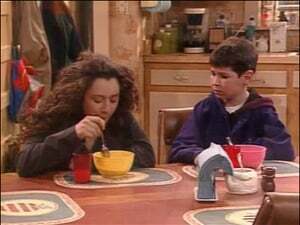 Becky gets into hot water for helping Darlene with a school assignment; trying to stop smoking cold-turkey has Roseanne frazzled, as does working two jobs. Thanksgiving brings four generations together to cope with a surprise announcement from Bev. 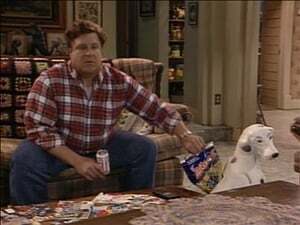 Roseanne and Jackie go to Kansas City to visit their father's mistress; Dan intends to beat up Becky's obnoxious boss. It is Crystal's choice to choose where the gals' night out will be. Crystal chooses bingo and they all hate it. After Roseanne wins $50 playing bingo, she gets hooked on it. Becky and Darlene baby-sit Little Ed, but when Dan comes home its D.J. and Dan that end up taking care of the baby. 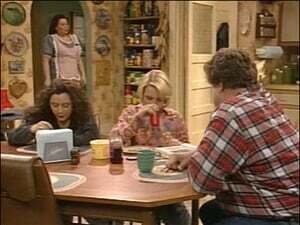 Roseanne and Crystal get into i fight, but at the end they make up and Roseanne learn that Crystal is pregnant again. 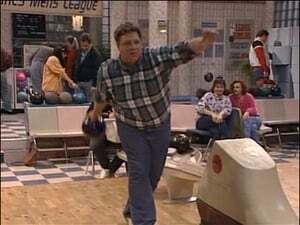 When Dan and Arnie struggle to bring their bowling team out of last place, some unexpected competition arises. 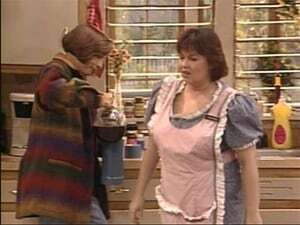 Meanwhile, Roseanne feels shut out of Jackie's new friendship with Nancy. A doctor recommends that Roseanne undergo breast reduction surgery for her back problems. 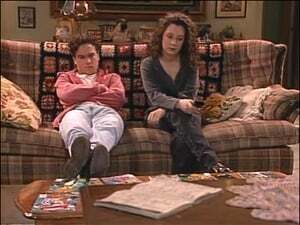 Roseanne and Dan breathe a sigh of relief when Becky breaks up with Mark. 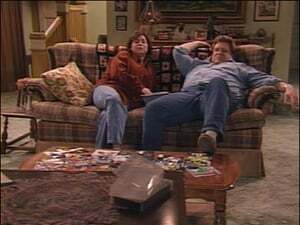 On a last visit to their childhood home, Roseanne and Jackie recall their adolescent years, causing Roseanne to reconsider a punishment for Darlene, who skipped school with David to attend a comic-book convention in Chicago. 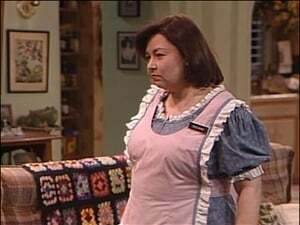 Roseanne accompanies Jackie to her therapist after she chooses the ideal man for Jackie -- dull tax accountant Art; Darlene mouths off once too often about a female school bully. 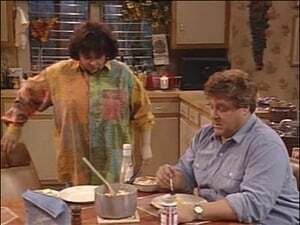 Roseanne freaks out when she learns that Rodbell's employees must take a lie detector test to find out who has been stealing from the restaurant; Darlene bypasses Roseanne for advice about her beau. 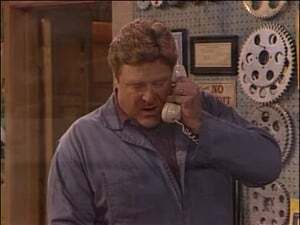 A pregnant Crystal snaps at everyone in sight, then goes into labour with Dan coaching her in the delivery room; Roseanne and Bonnie feud over who should replace Leon as the new manager of the coffee shop; and Darlene delivers a message to David to quit crowding her. 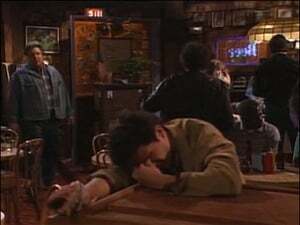 Mark turns to alcohol to solve his problems with Becky, and Dan lies to Roseanne about the boy's drunken, reckless evening at the Lobo Lounge to cover both their tracks.